Imperial researchers are looking to protein fragments to help people build up resistance to grass pollen. For hay fever sufferers, the end may be in sight for another year of sniffles, sneezes and itchy eyes caused by grass pollen. But while many people are able to treat their symptoms with over the counter medications, for some sufferers, a different approach is needed to tackle the root cause. Researchers at Imperial College London are investigating new hay fever therapies based on protein fragments from grass, which they have found can help to reduce symptoms after just three weeks of treatment. 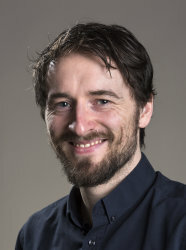 The findings of one study, published in the journal Allergy earlier this year, showed that a short course with the peptide treatment – which could be delivered via injection over the course of four visits to the GP – was enough to reduce the symptoms of seasonal hay fever and improve patients’ quality of life. According to Dr Mohamed Shamji, from Imperial’s National Heart and Lung Institute and a clinical allergist, grass pollen peptide therapy could help patients who do not respond to over-the-counter medications, or who react poorly to current clinic-based treatments. “Seasonal hay fever is a global problem and most patients seem to respond to treatments such as antihistamines, but around 20 per cent of patients do not respond to any treatment and their quality of life is affected tremendously,” explains Dr Shamji. The international team, led by researchers at Imperial College London and IMSIE in Germany, developed an immunotherapy treatment from protein fragments, or peptides, of rye grass (Lolium perenne). These fragments cause the body to produce a mild immune response, enabling it to build up resistance to pollen exposure. In a double blind, placebo-controlled trial, 443 patients with moderate-to-severe hay fever triggered by grass pollen received either the LLP treatment (n=329), called gp-ASIT+, or placebo (n=114). Patients were recruited from six European countries; Belgium, Czech Republic, Germany, France, Italy and Spain. Over the course of four visits to a clinic before the start of the pollen season, patients received an injection in each arm (eight in total) – those receiving the peptide treatment were given steadily increasing doses over the visits (a cumulative dose of 170 mcg of gp-ASIT+). Patients recorded a composite score of their symptoms, taking into account the amount of ‘rescue medication’ needed over the course of peak grass pollen season (May to September in the UK, with peak season in June and July). Rescue medication, taken to alleviate excess hay fever symptoms, was in the form of antihistamine tablets (fexofenadine) provided by the research team. After analysing the results, the team found that the average daily symptom score was less during the height of pollen season for those patients who had received the treatment, reducing symptom score by an average of 15.5 per cent compared with placebo. When analysing the trend over the entire hay fever season, they found that the treatment reduced symptoms by 17.9 per cent on average, compared to placebo. Patients also reported significantly increased quality of life over the course of the season. The researchers add that there were a number of limitations to the latest study, including incomplete questionnaire data outside of peak pollen season – due to patient compliance – as well as the exclusion of some patients due to the influence of other pollen sources, including birch. They also add that longer-term follow up data is needed for adverse reactions and dose adjustments for patients. However, they are confident that a short course of therapy with gp-ASIT+ before the start of pollen season could improve patient compliance to treatment regimens, rather than pills throughout the season, and be more efficient than standard immunotherapy. Read more about Dr Shamji’s work on the Imperial Medicine Blog. ‘Short-course of grass allergen peptides immunotherapy over three weeks reduces seasonal symptoms in allergic rhinoconjunctivitis with/without Asthma: A randomized, multicenter, double-blind, placebo-controlled trial’ is published in the journal Allergy. The research was funded by ASIT biotech, the Brussels-based firm developing the treatment. 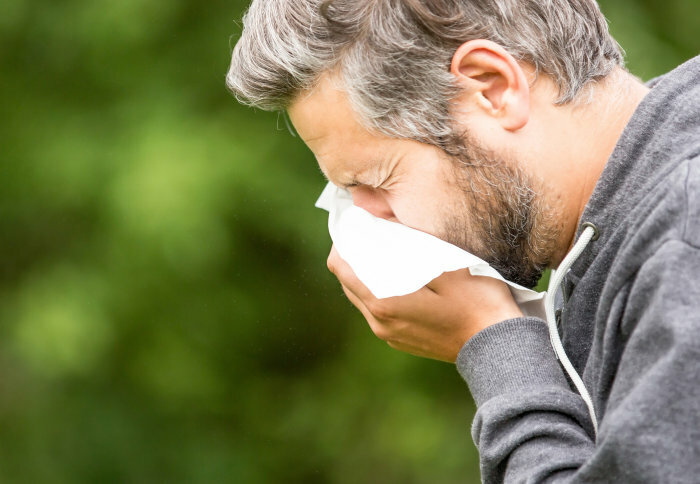 Hay fever, or seasonal allergic rhinitis, affects as many as one in four people in the UK, leaving sufferers with bouts of sneezing, a runny nose and itchy eyes, and can affect work, school and leisure during the summer months when the pollen count soars. 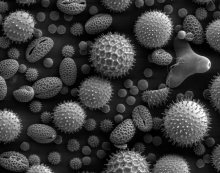 The reaction comes about when the body recognises pollen – typically from grass or trees – as a microbial invader, and launches an immune response. While the majority of sufferers can keep symptoms at bay with over the counter medicines, such as antihistamines, some may require more intensive immune-based therapy in a clinical setting. Current immunotherapies offered to patients are based on exposing the immune system to grass pollen, the most common trigger for sufferers, over time. These whole allergen based extracts are delivered either through injections or a pill, enabling the patient to build up a resistance over several years. For some patients, however, this approach is not suitable, with the immunotherapy treatment triggering systemic side effects, such as headache, diarrhoea, and even some patient’s going into anaphylactic shock. One avenue being explored to overcome these complications is using shorter fragments (called peptides), rather than the whole protein. 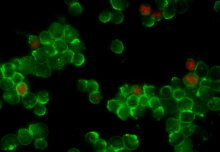 While these fragments are recognised by the cells of the immune system, they do not bind to IgE antibodies.